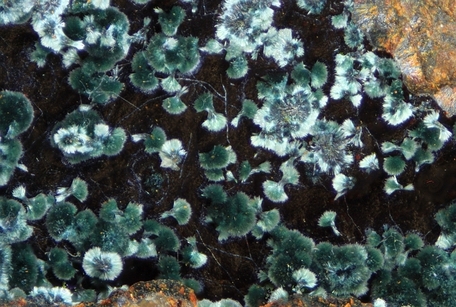 Natrodufrénite: Mineral information, data and localities. For being the Na analogue of dufrénite. 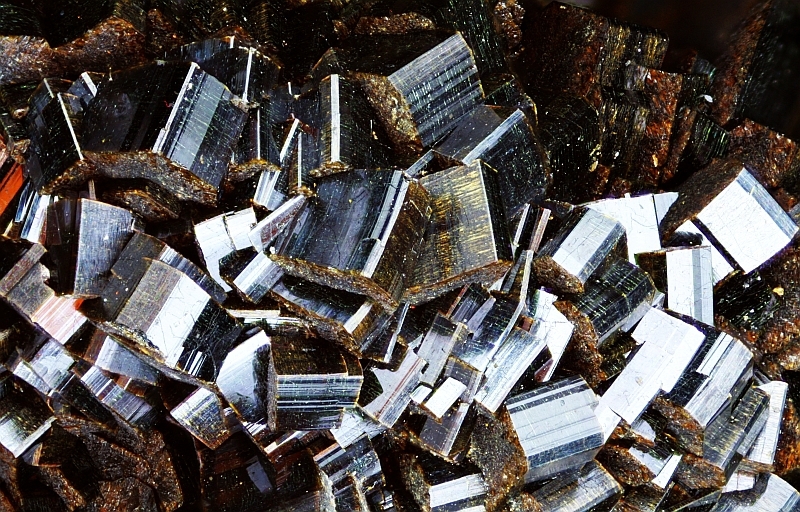 The Na analogue of dufrénite (which is distinctly less common by comparison) and the ferrous iron analogue of gayite. Cyrilovite 7 photos of Natrodufrénite associated with Cyrilovite on mindat.org. Leucophosphite 5 photos of Natrodufrénite associated with Leucophosphite on mindat.org. Quartz 4 photos of Natrodufrénite associated with Quartz on mindat.org. Cacoxenite 4 photos of Natrodufrénite associated with Cacoxenite on mindat.org. Kidwellite 3 photos of Natrodufrénite associated with Kidwellite on mindat.org. Wavellite 2 photos of Natrodufrénite associated with Wavellite on mindat.org. Meurigite-Na 2 photos of Natrodufrénite associated with Meurigite-Na on mindat.org. Xanthoxenite 2 photos of Natrodufrénite associated with Xanthoxenite on mindat.org. Ushkovite 1 photo of Natrodufrénite associated with Ushkovite on mindat.org. Apatite 1 photo of Natrodufrénite associated with Apatite on mindat.org. Bulletin de la Société française de Minéralogie et de Cristallographie (1982): 105: 321-326. American Mineralogist (1983): 68: 1039. Kampf, A.R., Colombo, F., González del Tánago, J. 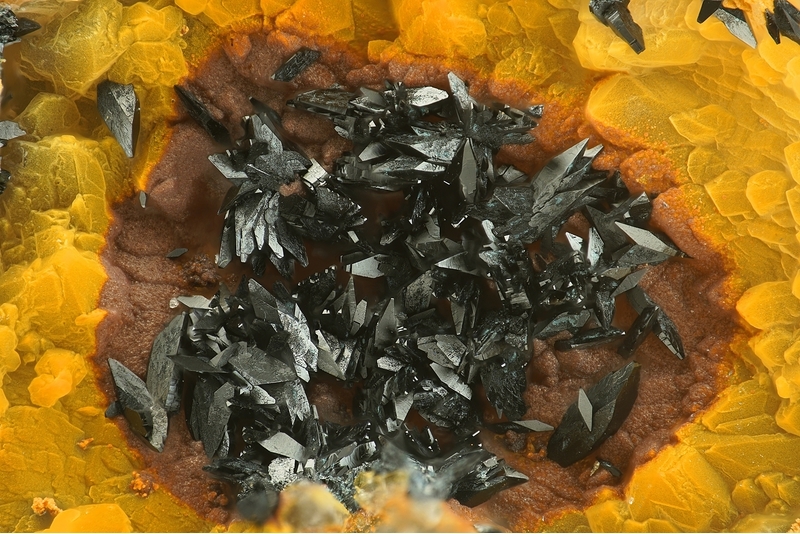 (2010): Gayite, a new dufrénite-group mineral from the Gigante granitic pegmatite, Córdoba province, Argentina. American Mineralogist, 95, 386–391. P. Sutton (2007): Cyrilovite and natrodufrenite from near Campbells Creek, Victoria. Australian Journal of Mineralogy, 13(2), 65-71. Sejkora, J., Škoda, R., Ondruš, P., Beran, P. & Susser, C. (2006): Mineralogy of phosphate accumulations in the Huber stock, Krásno ore district, Slavkovský les area, Czech Republic. Journal of the Czech Geological Society 51, 103-147. Sejkora, J., Süsser, C., Plášil, J.: Natrodufrénit a asociace fosfátů, ložisko Vysoký kámen – greisen, Krásno u Horního Slavkova. Bulletin mineralogicko-petrografického oddělení Národního muzea v Praze, 2007, roč. 14-15, s. 116-125. Sejkora J., Cícha J., Jebavá I.: Minerální asociace fosfátů z Čížové u Písku (Česká republika). Bulletin mineralogicko-petrografického oddělení Národního muzea v Praze, 2011, 19, 1, 1-26. J.M. Boisson et al. : "Filon Sainte Barbe, Commune d'Echassières, Allier, France", Le Cahier des Micromonteurs, 2000, 4, 3-46; Mestrom, P., Lustenhouwer, W. & Kars, S. (2011): Les Montmins (Massif Central, F) nader bekeken. GEA, 44 (1), 16-21 (in Dutch). Balestra C. (2009): Sistematica ligure 2009. Prie, 5, 97-100. Grant, Raymond W., Bideaux, R.A., and Williams, S.A. (2006) Minerals Added to the Arizona List 1995-2005: 6.